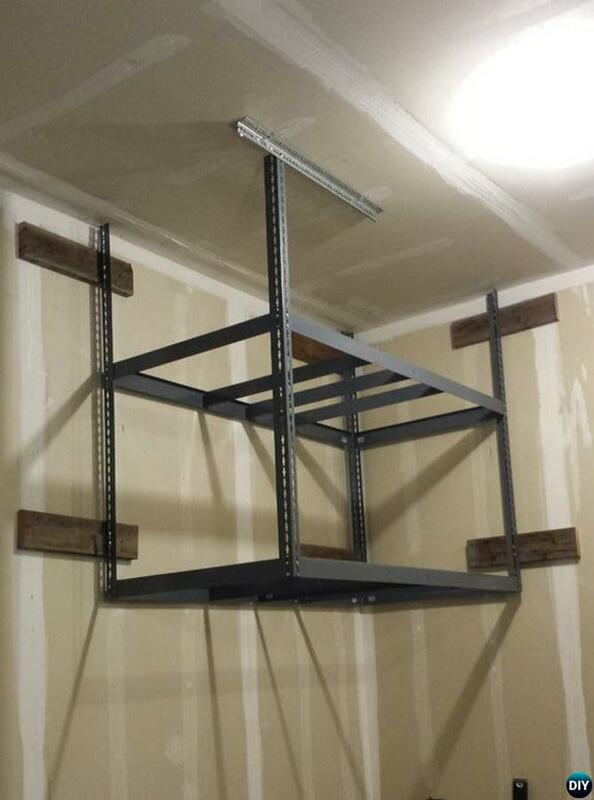 Making the best of the available garage storage space is easier said than done, especially if you are passionate about mechanics and you love to fix common problems all by yourself, without taking your vehicle to the local repair shop. 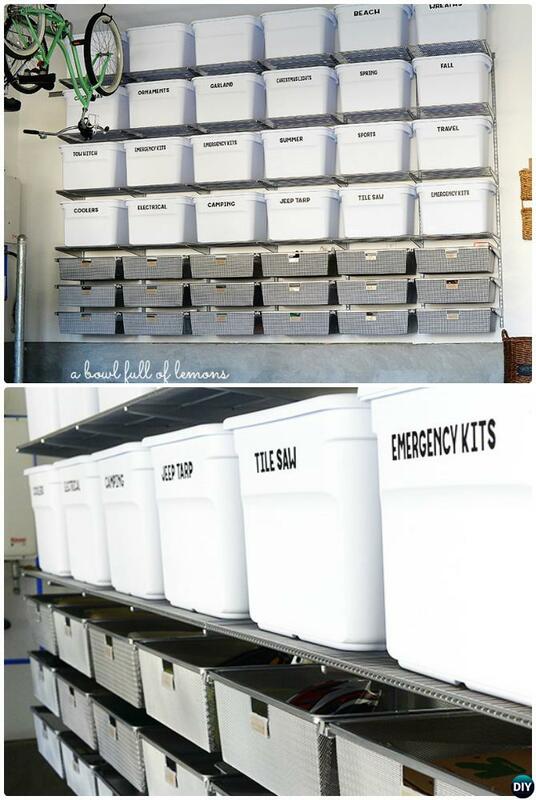 However, storing all your tools and other common household items is not as easy as one might think, this is why you should come up with some basic hacks designed to help you maximize the available space, without having to invest in extra cabinets or adding more square footage to your garage. 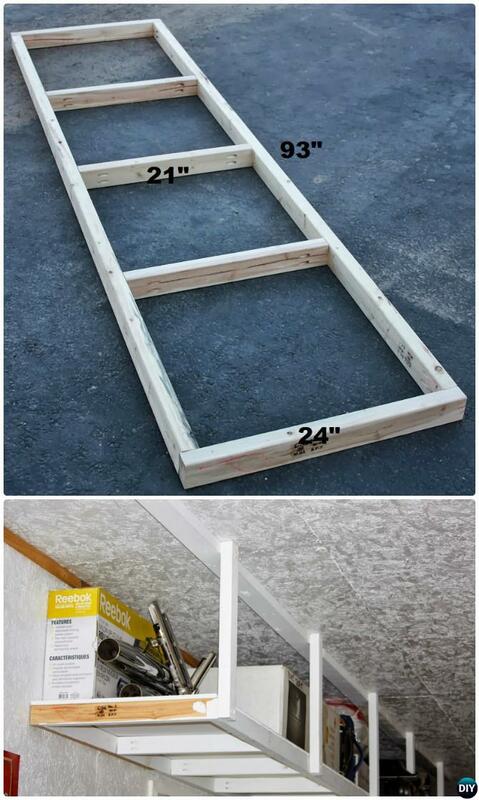 That being said, here you will find more than 35 different DIY garage storage ideas that you should definitely try! 01. 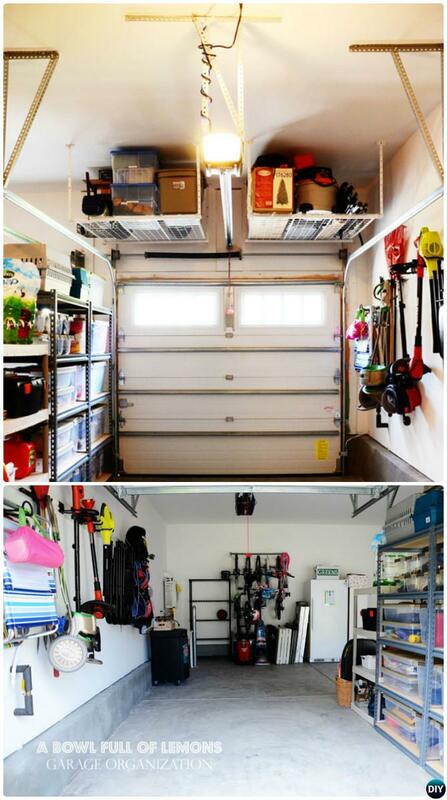 How to Organize Garage? A Bowl Full of Lemons shows a well organized garage by adding storage above their garage door and in between the parking spots. 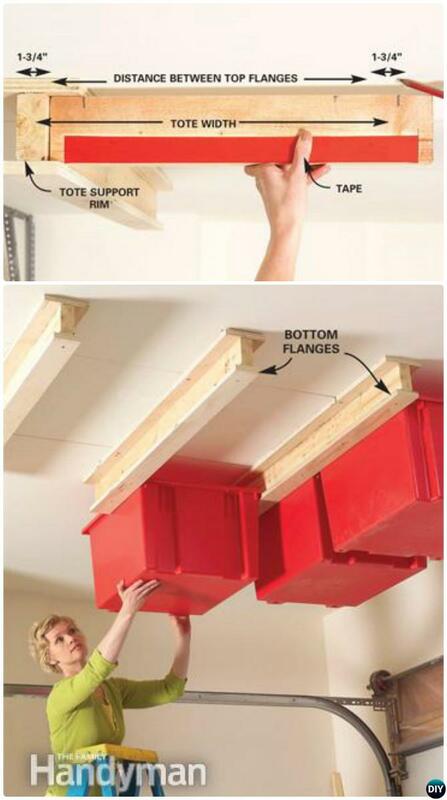 Make use of the Look-Up spaces to make storage systems as possible. 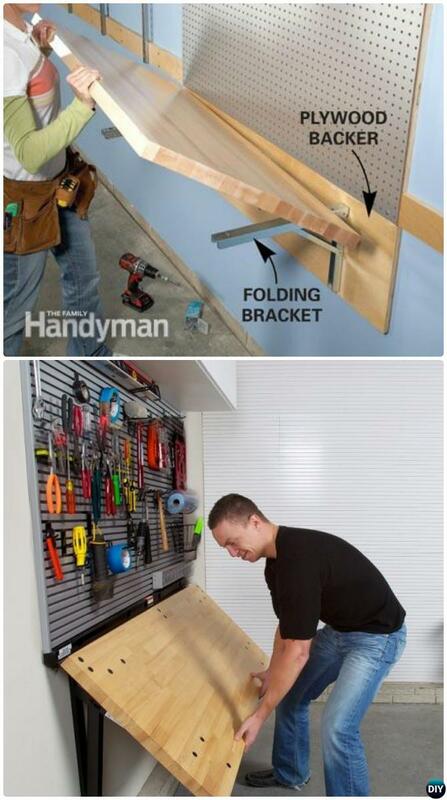 This folding workbench is a great way to add a work space to a garage without a lot of extra space.